Beside adding image, GIF or video to notification, we can also allow user to interact with it. Using UNNotificationAction, we can add button for user to response to the received notification. 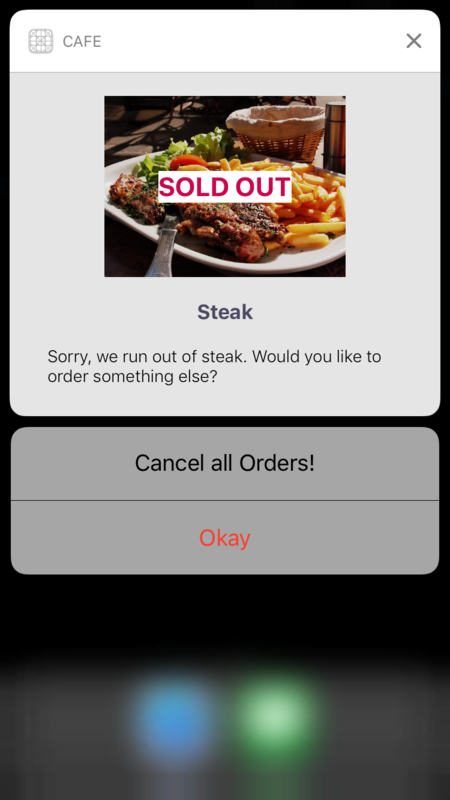 It can be attached to to any type of notification using category. The codes at 1) simply create three different UNNotificationAction. identifier is use to identify which action is tapped and title is the text displayed to the user. 2) group the different action into a UNNotificationCategory. Each will have its own unique identifier and come with a set of actions. Then in 3) we register the created categories with UNUserNotificationCenter. 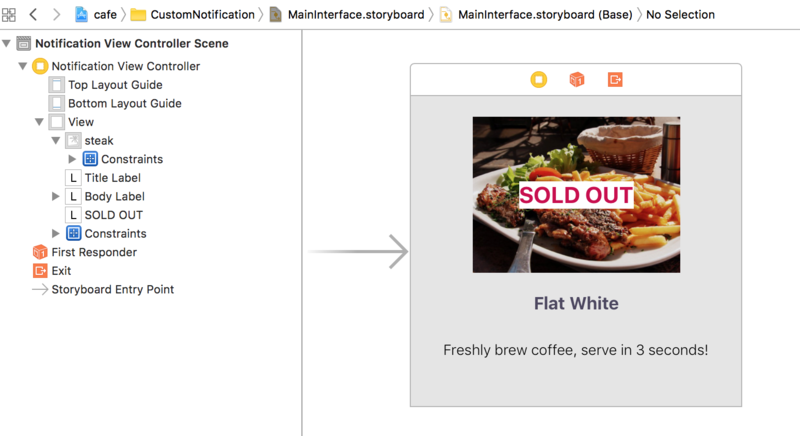 We could also go a step further and design our very own notification content view using storyboard. In order to do that, we first must add a Notification Content Extension. UNNotificationExtensionCategory - should match the categoryIdentifier when creating the UNNotificationContent. UNNotificationExtensionDefaultContentHidden - can toggle to show / hide the default title and body of the content. UNNotificationExtensionInitialContentSizeRatio - is the number we play around with to get the perfect size for the custom notification view. MainInterface.storyboard contain a the view of the NotificationViewController. We could use it to set the design and layout of the content just like any view controller. However, direct interaction with the view is not possible thus UIButton would not work here. In NotificationViewController, we can use protocol of UNNotificationContentExtension to update the view with the received notification content. We use a mandatory didReceive to update the text of our @IBOulet UILabel. 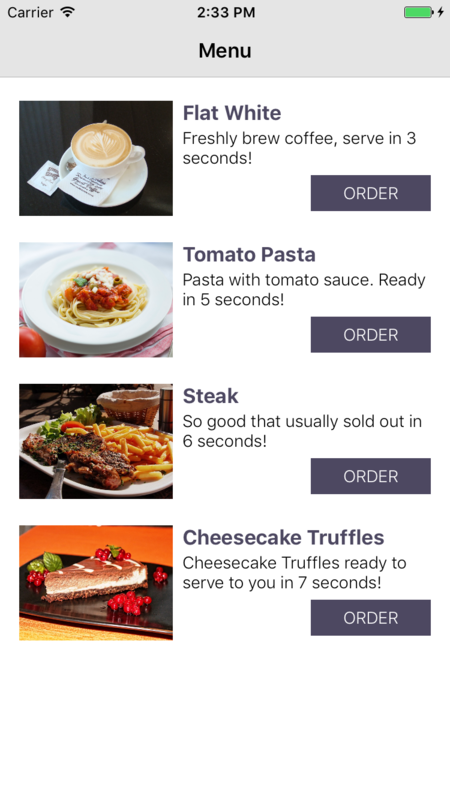 A completed project with different kind of notification setup could be access on GitHub.. Each Order button trigger a different kind of notification. Feel free to play around with it.